Surabhi is a graduate-entry medical student with a strong interest in global health issues. She is particularly interested in global health inequities, including issues surrounding Aboriginal and Torres Strait Islander health, refugee health, and health and human rights. In her spare time, she enjoys travelling and practising her French and Spanish language skills. A contributing factor to this gap in health statistics is a low rate of adherence to medication amongst Aboriginal and Torres Strait Islander peoples. 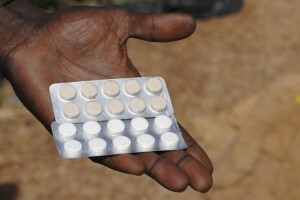 While this problem is not unique to this population, there is global evidence that the rates of adherence to medication are lower amongst marginalised groups. In order to help reduce the burden of disease amongst this group, it is important to explore some reasons for non-adherence that are unique to Aboriginal and Torres Strait Islander peoples. In particular, this article will focus on the impact of cultural insensitivity and problems with access to healthcare and medications amongst this population. It will suggest how adherence can be improved through improving cultural sensitivity and access to healthcare, in order to reduce the gap in health statistics between Aboriginal and Torres Strait Islander peoples and non-Aboriginal and Torres Strait Islander peoples. According to the WHO, there are five dimensions that can impair a patient’s adherence with medication. These are the healthcare team or system, socioeconomic factors, the nature of the therapy, the patient and the medical condition. The first four dimensions are especially relevant to Aboriginal and Torres Strait Islander peoples in both rural and urban settings, and will be discussed below. First, as stated by the WHO, socioeconomic factors play an important role in the low rates of adherence amongst Aboriginal and Torres Strait Islander peoples. Aboriginal and Torres Strait Islander peoples have a lower income status than non-Aboriginal and Torres Strait Islander peoples, and also have a higher unemployment rate. This may therefore affect adherence to long-term, expensive medical treatment. Geographic location has previously been a barrier to accessing medications for some Aboriginal and Torres Strait Islander communities  and is within the WHO’s healthcare system dimension. However, the Australian Government has, in recent years, initiated national programs and legislated to improve access to prescription medications for Aboriginal and Torres Strait Islander peoples. This will be discussed below. There are a number of issues with adherence due to healthcare practitioner behaviours. First, due to cultural differences, a lack of flexibility when prescribing medication has been identified as contributing to non-adherence amongst some groups. For example, health service providers are not always using long-acting medication preparations where possible, nor appropriate combination medications, to reduce the number of tablets that the patient has to take. This falls under the WHO dimension of the nature of the therapy, and is something that health service providers should be aware of when engaging in culturally sensitive medical practice. Similarly, medical practitioners themselves can be non-adherent to clinical practice guidelines when providing treatment to some Aboriginal and Torres Strait Islander peoples. The study by Fürthauer et al. (2013) showed that medical practitioners may deliberately deviate from a clinical guideline for a particular patient, if they feel that the patient may not adhere to the treatment in the long-term, due to cultural practices or socioeconomic background. This comes under the WHO healthcare team dimension, and is an important cause of non-adherence that needs to be examined closely in the Australian context. In addition, some Aboriginal and Torres Strait Islander peoples feel that health services should recognise the history surrounding racism and discrimination against Aboriginal and Torres Strait Islander peoples, in order to facilitate trust and improve service uptake. This issue is within WHO’s patient-specific dimension, and may eliminate any feelings of ‘cultural shame’ for accessing Western medication due to the history of marginalisation of Aboriginal and Torres Strait Islander peoples. This indicates that more research needs to be undertaken on the psychological impact of marginalisation on Aboriginal and Torres Strait Islander and its link to non-adherence. There are a two main ways to improve adherence rates amongst Aboriginal and Torres Strait Islander peoples. One is by improving cultural sensitivity amongst health service providers to provide appropriate services to Aboriginal and Torres Strait Islander peoples, and welcome them to services outside the Aboriginal and Torres Strait Islander system. The other way is by subsidising medications so that Aboriginal and Torres Strait Islander peoples can have better access to treatments. Increased engagement of Aboriginal and Torres Strait Islander peoples with health workers can be achieved by employing more Aboriginal and Torres Strait Islander Health Workers (AHWs), who have often lived in the region where they work. AHWs act in a variety of capacities to better liaise with Aboriginal and Torres Strait Islander peoples in healthcare settings and facilitate a more positive experience. They undertake clinical work, such as providing health checks and administering vaccinations, or conduct research and implement community development projects. One study found that AHWs, together with pharmacists, have the potential to improve adherence with appropriate funding and education. However more research needs to be undertaken to further evaluate the role of AHWs, specifically in reducing non-adherence. It is also necessary to consider the fiscal situation of individuals in Aboriginal and Torres Strait Islander communities. Aboriginal and Torres Strait Islander peoples have a lower median weekly household income than non-Aboriginal and Torres Strait Islander peoples. Therefore, access to subsidised medication may be a way to improve adherence to medication. There are a number of initiatives funded by the Australian Government to try to improve adherence to medications. As part of the Australian National Medicines Policy, a Quality of Use of Medicines (QUM) strategy was introduced in Australia in 1992. This strategy included evaluating and improving Aboriginal and Torres Strait Islander health in remote areas through a number of ways, including the development of guidelines for culturally appropriate pharmaceutical services and evaluating medication use. On the whole, it appears that the program achieved a number of its objectives, including improving Aboriginal and Torres Strait Islander health. It was intended to complement a legislative change made around the same time to the National Health Act 1953. Non-adherence with medication is a significant problem. It leads to negative health outcomes for the individual, and can result in the public health system incurring high costs. Given that the rates of non-adherence and chronic disease are greater amongst the Aboriginal and Torres Strait Islander population, specific measures need to be taken in order to minimise non-adherence. Healthcare workers should be trained to be more culturally sensitive and to provide clear, unambiguous treatment advice. They should also take care when prescribing medications to provide treatments with the lowest number of tablets appropriate. Healthcare services should be made more welcoming to Aboriginal and Torres Strait Islander peoples by including Aboriginal and Torres Strait Islander artwork, employing more Aboriginal and Torres Strait Islander staff, and involving Aboriginal and Torres Strait Islander communities in the policy-making process. Policy-makers need to be aware that there are many distinct Aboriginal and Torres Strait Islander cultures, not just a single homogenous one. Finally, medications should continue to be subsidised to Aboriginal and Torres Strait Islander peoples, to ensure that those most vulnerable to chronic illness are able to access treatment. Healey, J, editor. The Health of Indigenous Australians. Balmain: SpinneyPress; 2010. Davidson P, Abbott P, Davison J, DiGiacomo M. Improving Medication Uptake in Aboriginal and Torres Strait Islander Peoples. Heart Lung Circ. 2010; 19(5-6):372-7. Roe Y, Zeitz C, Fredericks B. Study Protocol: establishing good relationships between patients and health care providers while providing cardiac care. Exploring how patient-clinician engagement contributes to health disparities between Indigenous and non-Indigenous Australians in South Australia. BMC Health Serv. Res. 2012; 12:397-407. Hamrosi K, Taylor S J, Aslani P. Issues with prescribed medications in Aboriginal communities: Aboriginal Health Workers’ perspectives. Rural Remote Health. 2006; 6(2):557-569. World Health Organisation. Adherence to Long-Term Therapies Evidence for Action. Switzerland: World Health Organisation; 2003. Roller, L. Medication adherence in tribal Aboriginal children in urban situations. Curr Ther. 2002; 43(11):64-5. Laba T-L, Brien J-A, Jan S. Understanding rational non-adherence to medications. A discrete choice experiment in a community sample in Australia. BMC Fam Pract. 2012; 13(61). Donato R and Segal L. Does Australia have the appropriate health reform agenda to close the gap in Indigenous health? Aust Health Rev. 2013; 37:232-238. Bailie R, Si D, Dowden M, O’Donoghue L, Connors C, Robinson G, Cunningham J, Weeramanthri T. Improving organisational systems for diabetes care in Australian Indigenous communities. BMC Health Serv. Res. 2007; 7:67-78. Altman J. The Economic and Social Context of Indigenous Health. In: Thomson N, editor. The Health of Indigenous Australians. Perth: Oxford University Press; 2003. Lau P, Pyett P, Burchill M, Furler J, Tynan M, Kelaher M et al. Factors influencing access to Urban General Practices and Primary Health Care by Aboriginal Australians—A qualitative study. AltNat. 2012; 8(1):66-84. Cass A, Lowell A, Christie M, Snelling PL, Flack M, Marrnganyin B et al. Sharing the true stories: improving communication between Aboriginal patients and health care workers. Med J Aust 2002; 176(10):466-470. McGrath, P. The biggest worry..’: research findings on pain management for Aboriginal and Torres Strait Islander peoples in Northern Territory, Australia. Rural Remote Health. 2006; 6(3):549-562. Larkin C, Murray R. Assisting Aboriginal and Torres Strait Islander patients with medication management. Aust Prescr. 2005; 28(5):123-125.
to evidence based guidelines in diabetes mellitus type 2, cardiovascular disease and prevention: a cross sectional study. BMC Fam Pract. 2013; 14(47). Mitchell M, Hussey L. The Aboriginal and Torres Strait Islander Health Worker. 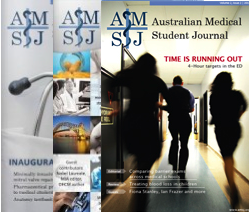 Med J Aust. 2006; 184(10):529-530. Emerson L, Bell K, Manning R. Quality Medication Use in Aboriginal Communities. Paper presented at: The 5th National Rural Health Conference; 1999 March 14-17; Adelaide, South Australia. Smith, A. 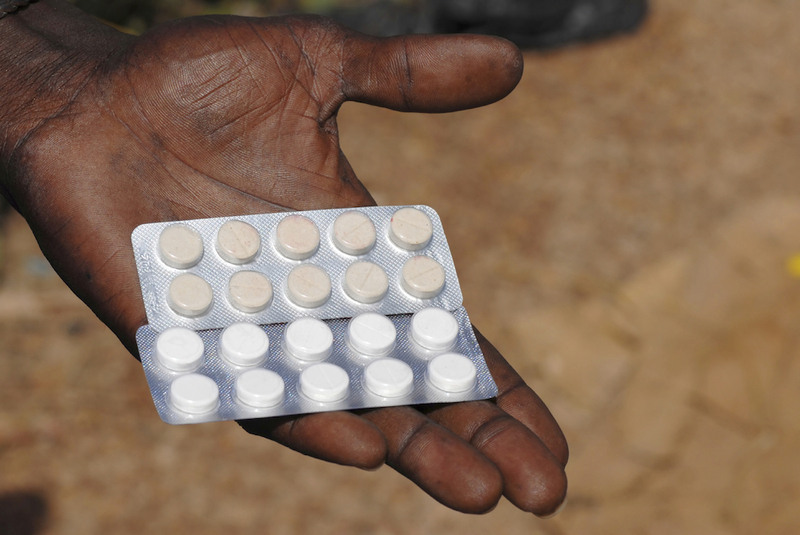 Quality use of medicines – are we nearly there yet? Aust Prescr. 2012; 35:174-5. National Health Act 1953 [Cth] s 100. Kelaher M, Taylor-Thomson D, Harrison N, O’Donoghue L, Dunt D, Barnes T et al. Evaluation of PBS Medicine Supply Arrangements for Remote Area Aboriginal Health Services Under S100 of the National Health Act. Co-operative Research Centre for Aboriginal Health and Program Evaluation Unit, University of Melbourne. Melbourne; 2004. Report No. : RFT:102/0203. Couzos S, Sheedy V, Thiele DD. Improving Aboriginal and Torres Strait Islander and Torres Strait Islander people’s access to medicines – the QUMAX program. Med J Aust. 2011; 195(2):62-63. Wallace A, Lopata T, Benton M, Keevy N, Jones L, Rees A et al. Evaluation of the Quality Use of Medicines Maximised for Aboriginal and Torres Strait Islander and Torres Strait Islander Peoples (QUMAX) Program. Australia: Urbis; 2011.